What is the Best Cellular Network for the iPhone? A couple weeks ago, Apple announced that the iPad would be available in both Verizon and AT&T stores on October 28th. Today is the day! And, confirmed by a friend, the devices are indeed available today. Both AT&T and Verizon are offering the 16GB, 32GB and 64Gb iPad Wi-Fi with 3G (AT&T) or MiFi (Verizon). The plans are honestly pretty similarly priced with AT&T offering a $14.99 a month plan for up to 250MB of data and a $25 a month for up to 2GB of data. Verizon is offering a $20 a month plan for up to 1GB of data. Below are what, according to Apple, each company is offering. iPhone 4 – The Basics – When, What, How Much? 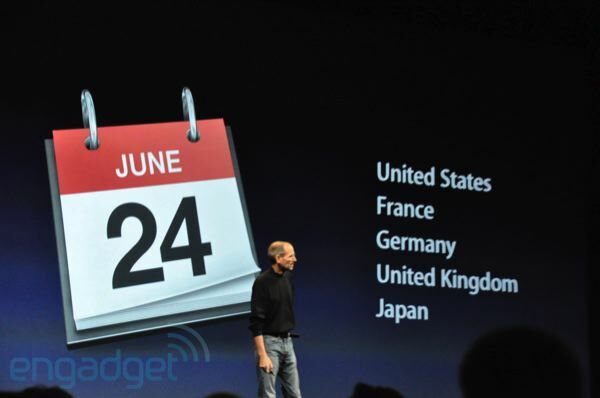 Today, during the 2010 WWDC Keynote, Apple announced the new iPhone – the iPhone 4. Below are the basics… when it will be available, where it will be available, how much it will cost, the sizes, the colors… etc. Ok, this is getting ridiculous. AT&T has gone off the deep end here. They are removing the unlimited data from smartphones, including the iPhone, and the iPad. If you already have unlimited, you can keep it. But is that it? Is it all that simple? No. There are a lot of questions I had and here’s what I’ve found as answers. DataPlus – 200 MB of data for $15 per month. If you use more than 200 MB, you’ll receive an additional 200 MB of data usage for $15, replenished as often as necessary during the billing cycle. DataPro – 2 GB of data for $25 per month. If you exceed 2 GB, you’ll get an additional 1 GB of data for only $10. Each time an additional 1 GB is used up during a cycle, you will automatically receive another 1 GB at the same low price. Engadget has finally found proof that the contract between Apple and AT&T for the iPhone was 5 years. That would mean no Verizon iPhone this year. But there are always renegotiations and all sorts of other ways Apple could have ended the agreement. Apple did develop the iPad to run on AT&T and not Verizon so this may also be a hint. I’m guessing that Apple will wait until LTE technology is released and all carriers use it so they can sell only one phone. Today Apple releases the iPad 3G. The difference between the iPad and the iPad 3G are the 3G version has a cell phone chip in it and can connect to cell networks for internet. The iPad 3G also has GPS. 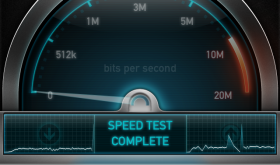 In the US the carrier compatible with the iPad 3G is AT&T. 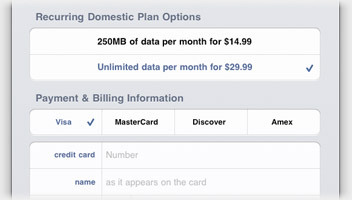 Their pricing plans for data are $14.99 for 250MB usable for 30 days, or $29.99 for unlimited data usable for 30 days. These plans also include the free use of AT&T’s 20,000 Wifi hotspots. If you’re wondering which plan is better for you, check out this article by arstechnica which explains how one plan might work better for you. – Apple is closing stores from 4-5pm to prepare for the launch. 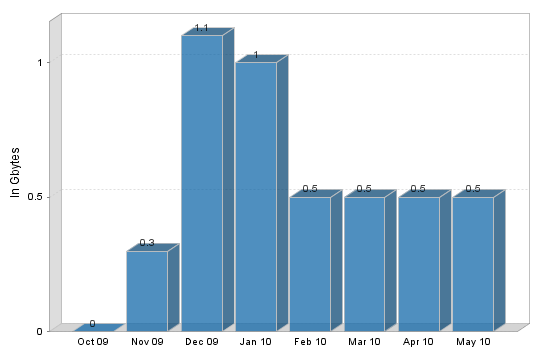 – Phone calls and text messaging are not supported although VOIP apps like Skype are. – Preorders over the web should be delivered to your home today. – For billing purposes, AT&T will assign you a “fake” mobile number. – When using the 250MB plan you will receive popup notifications when you hit 200MB, 225MB, and 250MB. AT&T has recently released a few more commercials. Two of them are the typical Luke Wilson commercials comparing AT&T to Verizon and third (released today) gives statistics on AT&T’s overall network… it’s a little boring but, it does have some interesting numbers. It seems as though AT&T and Verizon are not losing steam on this whole commercial vengeance thing. Both AT&T and Verizon have recently released a new commercial. Verizon is targeting Apple this time around instead of AT&T. It could be in retaliation to the commercials Apple released last week targeting Verizon. The difference is, Apple does it so smoothly and Verizon is tactless. Either way, I think both Verizon and AT&T’s commercials are slipping in quality. You can check them both out below. Apple’s New Commericals Take Stab at Verzion Too!? AT&T is not the only company to release new commercials recently, Apple has also launched two new iPhone commercials. The new commercials “Did You See My Email?” and “What Time’s The Movie?” both seem take a subtle stab at Verizon. Unlike AT&T they do not specifically mention Verizon but, the two ads highlight the iPhone’s ability to talk on the phone while simultaneously using other capabilities of the iPhone including; viewing email, browsing the web, sending MMS and using App Store apps. Each commercial ends with the the tag line “Can your phone and your network do that?” Check out both ads below. It seems the Apple has quietly entered into this little drama. I’d say it’s becoming quite the thing. Personally, I like the subtle approach… these commercials made me smile! You may have seen the first commercial AT&T launched as a direct attack on Verizon. Over the week-end they released a few more commercials targeting Verizon; Two Phones and Postcards (two part commercial). They both are part of the Truth About 3G campaign. Like the first commercial, these ones also star actor Luke Wilson. Personal Opinion – Two Phones… not too bad, Postcards… lame. Check them out below.